TEDxKraków’s main event of the year, their annual conference, will take place on Friday, October 25. This year’s event is dedicated to the ‘maker’ culture, which is populated by coders, hackers, 3-D printers, bakers, artists, and activists. The culture of Do It Yourself is growing exponentially, not only in Krakow but across the globe, and has gone beyond the traditional, formalised education system. It is something the community encourages people to learn by exploration, play and being open to an increasingly open world. Open source, open hardware, and open data are ‘in’ and centralised control is ‘out.’ Today, you can learn anything, at any time and turn your ideas into reality all by yourself with just a bit of imagination and perseverance. This year’s speakers come form all over and bring a plethora of ideas worth sharing. Below, we present a few of them. The rest of the speakers and performers will be announced throughout September on the TEDxKraków’s website. Steve Crawshaw spent many years travelling the world as a journalist and a human rights advocate. Today he is the Director of the Office of the Secretary General at Amnesty International. He is focused on today’s real life Don Quixotes – lesser-known heroes who manage to overcome some of the worst crises, ultimately making the world a better place. Catherine Bracy is currently the Director of International Programs at Code for America, but her past experience includes running the Obama campaign’s technology office in San Francisco, working for the Knight Foundation and Harvard’s Berkman Center for Internet and Society. She aims to bring citizens and governments closer together through the use of technology and open government movements around the world. Her initiatives have inspired Cracovians to launch initiatives such as Hackathon, which led to the Open Małopolska project (See pages 20–21 of this issue of the Krakow Post). Michał Żołnowski is a medical doctor by day and an asteroid hunter by night. In 2011, he built a remotely controlled observatory in Italy called the Rantiga Osservatorio. Through a combination of public data and a clever algorithm, the observatory has identified over 200 asteroids and is now competing against some of the world’s largest professional astronomy teams. Agnieszka Stach was once a violinist, cellist and vocalist and today she is a law student and a blogger discussing topics such as law in algorithms and creators’ law. Her mission is to make law understandable to everyone. She tries to explain law in simple algorithms and relies on her artistic background to help her understand problems that designers, photographers, filmmakers, and musicians face in their work. The Recycling Band is just one of the musical acts of this year’s TEDxKraków event. By making music on instruments made out of trash, the band attempts to draw attention to the global environmental issue of waste and the importance of recycling. They are a true example of the Do It Yourself culture and proof that making something out of nothing is possible. They have made instruments such as bass and acoustic guitars, ukuleles, drums, trumpets, violins and a keyboard out of materials including old wooden doors, tables, water bottles, mattresses, combs, paint cans and buckets. 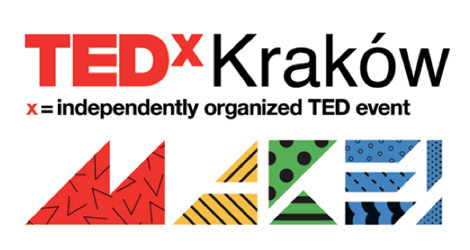 TEDxKraków is an independently organized version of the TED conference run by a group of volunteers passionate about Krakow. In addition to its annual conference, TEDxKraków also organizes monthly TEDxKrakówCinema, TEDxKids@Kraków and TEDxYouth@Kraków meetings, all with one goal in mind: sharing ideas worth spreading. Registration for this year’s event starts September 1. More information about TEDxKraków 2013 can be found at: TEDxKrakow.com.